Ease of Setup: Easy once you get it figured out. The Diamondback is a great tent. It has two vestibules which adds heaps of area. It is fairly easy to erect and it is really strong. With three poles and six guy down points it can withstand almost anything. 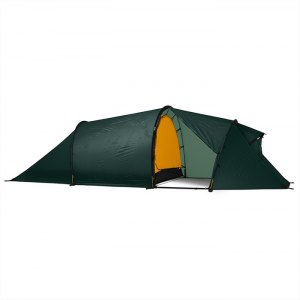 With this tent the poles are slided through sleeves in the fly. 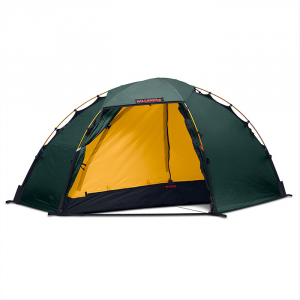 In most tents the poles are connected to the inner tent which is not nearly as strong as the diamondbacks method. I was in a storm in the Australian Alps, Strong wind, huge hail and lots of rain, the diamondback ain't even got a scratch. 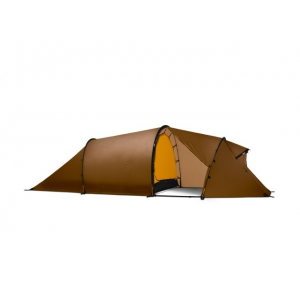 these tents use 50 denier polyester with silicone elastemer sunscreen impregnation on the fly. this is great because it makes the fly go taught when wet as opposed to the standard 40 denier nylon which tends to sag when wet. the floors are 220 denier which is full bathtub with hot-taped everything. 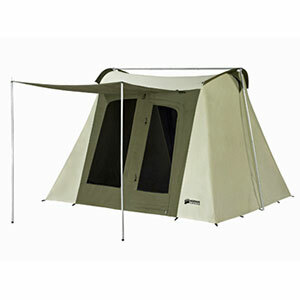 twin vestibules and the semi-geodesic shape make it really comfy for 2 people for extended expedition living. the three pole configuration is really strong. 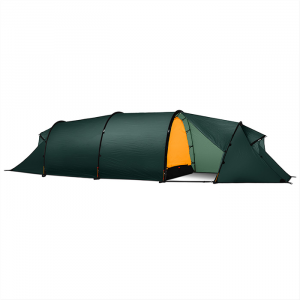 have used this in torrential westland (nz) rain, heavy otago dews, and andean hurricanes - really good tent. The Adventure Designs Diamondback is not available from the stores we monitor.